Lady Holiday wishes. 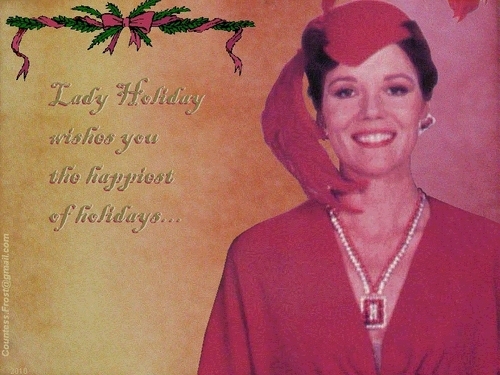 "Lady Holiday wishes" - a Diana Rigg (as Lady Holiday from The Great Muppet Caper) holiday wallpaper created oleh TheCountess. HD Wallpaper and background images in the The Muppets club tagged: diana rigg actress lady holiday the great muppet caper movie fan art wallpaper thecountess christmas.